Yesterday we took possession of the keys to our new home !! Handover was completed in around 20 minutes. 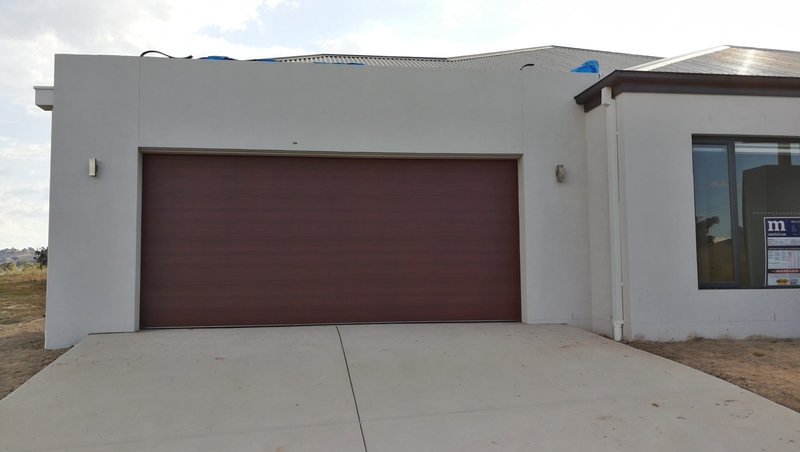 This week progress slowed, as our SM negotiated multiple trades to come back.Externally we’re almost done with garage door and capping going on. Just need the porticos painted. Our Roca The Gap toilets are in after a hickup where the inlet tap had to be moved from the side to the back which gives them a clean, modern, minimalist finish. One thing we’re both appreciating is the extra level of attention our trades are paying to our home. Without being asked, our floorboards guy decided to use a lower profile skirting around the island bench. It.looks fantastic and I love that they’re invested in the success of the house. Later in the pre-build phase we made the decision to upgrade some internal doors to make a feature of them. Today they were installed. The entrance into the Office and the Rumpus were expanded to 1200mm wide which allowed the spaces to be open and flowing when open. Then slide them closed and the provide noise isolation. Yesterday the first coat of render was completed, giving our first real look at how our Vogue facade will look when finished. There’s still another coat to go, but the house feels substantial and the scale dwarfs you. Im incredibly happy with how its coming together. There’s been plenty of progress over the last few weeks, since we first met our SM. Yesterday was meeting 2 and here’s some of the discussions.